Beautiful and Chic 200 Year old Cottage. Huge Master Bedroom With Roll Top Bath. Huge Living Room with New Woodburner. South Facing Cottage on Quiet Lane. 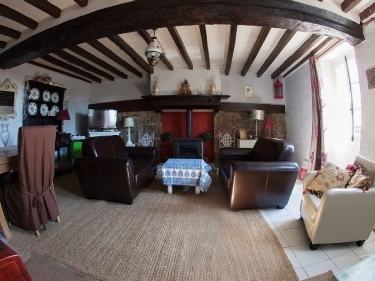 Our spacious and romantic cottage, which we have filled with stylish and luxurious and sturdy pieces, (a little more than your usual cottage rental) has an abundance of historical French charm about it. 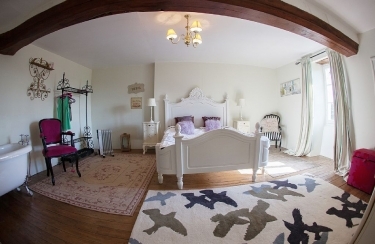 Set on a quiet lane on the edge of the small village of Niorte La Fontaine, a village with an extremely friendly English and French population, it is a very peaceful and rejuvenating place to stay, its great for kids, with a village play area and a great heated pool in Lassay Les Chateaux. Jo, the owner, is an artist and has filled the cottage with her 'original oil paintings ' . The night skies are packed with stars and swooping bats and the moon is something else, an evening stroll around the village is a must ! The cottage has great countryside views and is on a very quiet lane, ideal for couples or the family with older children. 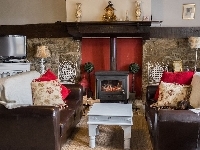 There is a very good fine dining restaurant a mile from the house which is both brilliant value and friendly or enjoy home cooking in the newly installed kitchen. 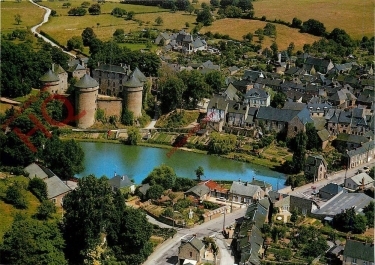 The wonderful Emerald coast is a picturesque 1.5 hrs car journey away where you can visit the fortified walled town of St Malo and the famous Mont St Michelle, a great day out. Domfront is half an hour away and Paris only 3 hrs by car. 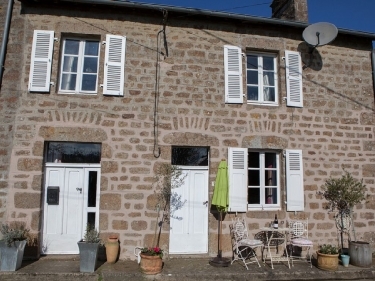 The cottage really is a great base for visiting Normandy, Brittany and the Paye De Loire. The climate in the area is warmer than in southern England and can reach 40 degrees in the summer.